Deer Valley Resort named "Best United States' Ski Resort"! Congratulations to Deer Valley Resort® for being named Best United States Ski Resort for the fourth year in a row by the World Ski Awards hosted in Kitzbuehl, Austria. Deer Valley Resort® is well known for its excellent guest services, mountain grooming, fine-dining, exclusive lodging and kid-friendly activities. 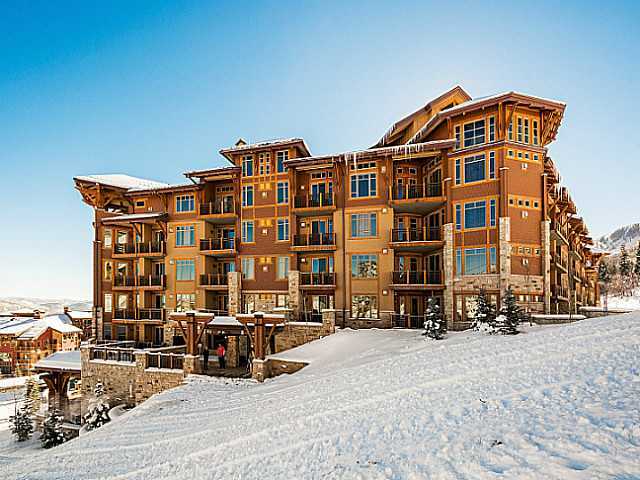 The skier-only resort offers breathtaking scenery with endless outdoor activities and relaxing spa settings. Deer Valley Real Estate is not only the most luxurious real estate neighborhood of Park City, Utah but features some of the most exclusive mountain properties in the world. Opening day is set for December 3, 2016. Search Deer Valley properties today! 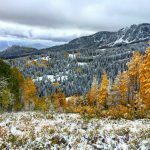 Contact Real Estate Specialist Steve Blankenship at 435-640-6966 for more information about real estate in Park City, Utah. 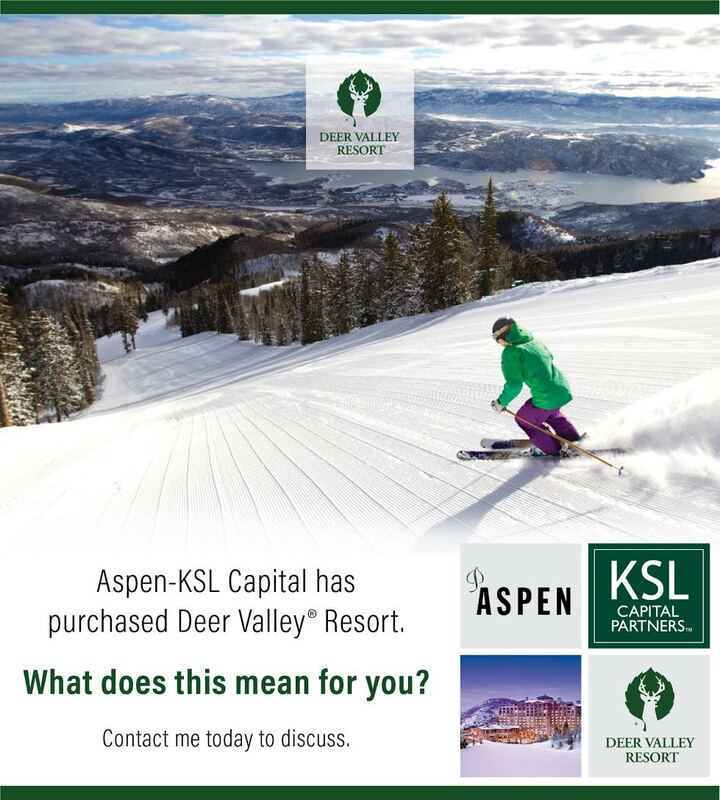 Posted in Park City Real Estate, Park City News, Deer Valley | 0 Responses to "Deer Valley Resort named "Best United States' Ski Resort"!" Hyatt Escala is being re-branded to Hyatt Centric. Hyatt Centric is Hyatt's premium brand - a new, full service lifestyle brand representing a cosmopolitan vibe in the center of the action. Approximately $6 million are being spend towards re-branding the Park City location. Worldwide only 15 hotels are being converted to the "Centric" brand. 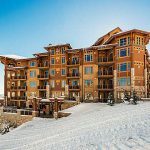 Posted in Park City Real Estate, Featured Properties, Park City News, Canyons Village, Golf Real Estate | 0 Responses to "Hyatt Escala Lodge now Hyatt Centric Park City"
This week the new Quicksilver Gondola opened at Park City Mountain Resort. The new eight-passenger gondola connects Park City Mountain and former Canyons Resort. Park City Mountain Resort is the largest ski resort in North America. Contact Keller Williams Real Estate Broker Steve Blankenship for the real estate investment options along Park City Mountain Resort. 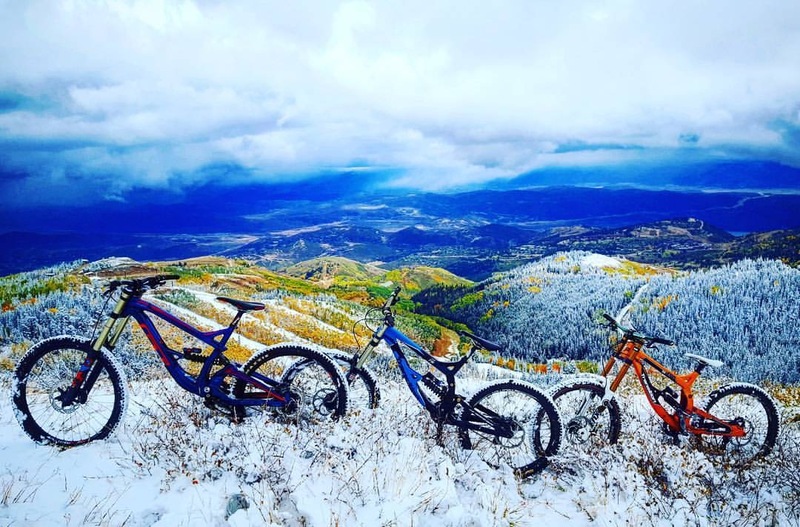 Posted in Park City News | 0 Responses to "New Quicksilver Gondola opens!" New Park City & Canyons Resort Branding! Today Vail Resorts revealed its new branding, logo and trail map. The soon to be nations largest ski resort will market the combined Park City Mountain Resort and Canyons as Park City". They also unveiled the new trail map spanning 6.5 miles from one end to the other. Vail Resorts is putting $50 million of improvements into the mountainfrom lifts and trails to lodges and restaurants. A new gondola, called Quicksilver, will connect the base of the existing Silverlode Lift at Park City to the Flat Iron Lift at Canyons. Quicksilver will be a high-speed, two-way gondola system capable of carrying eight people in each gondola. A new restaurant called Miners Camp will open at the base of the Silverlode Lift and will accommodate 500 diners. 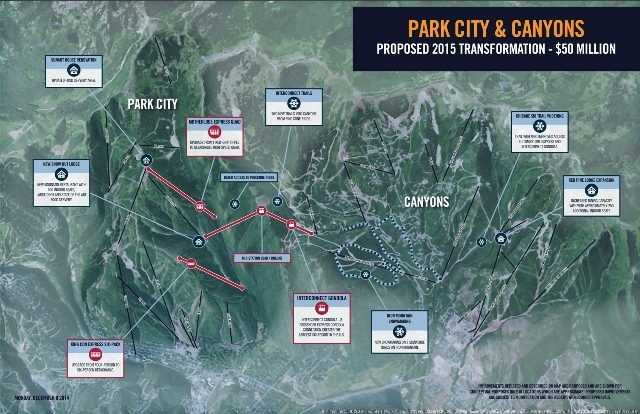 The Canyons Resort area will be called: Park City - Canyons Village. Fun Facts: 38 lifts with 3,500+ chairs; 22.39 miles of lifts; 35 minutes from the airport; 17 peaks; 300+ trails; over 7,300 acres of terrain which is equivalent to 5,530 football fields; 480 snowmaking guns; 16 on-mountain dining locations; a 22' half pipe and over 150 park features. 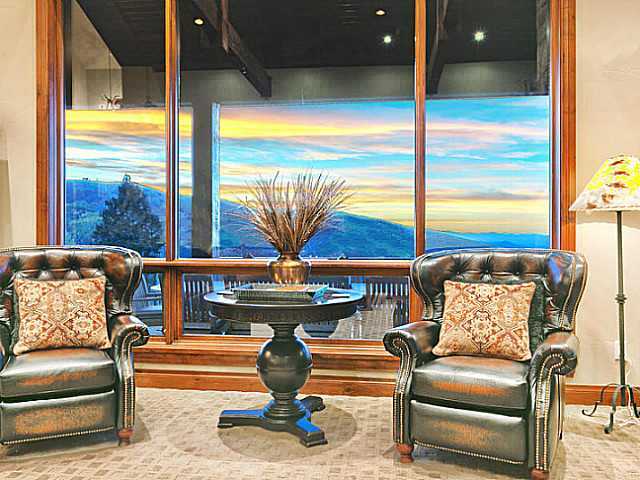 Search for: Park City Real Estate, Canyons Village Real Estate & Deer Valley Real Estate. 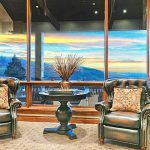 Posted in Park City Real Estate, Featured Properties, Park City News, Canyons Village, Home Buyer Tips, Golf Real Estate | 0 Responses to "New Park City & Canyons Resort Branding!" Stein Eriksen Management Corp. will start managing Park Meadows Country Club starting May 1, 2015. 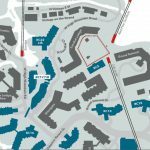 Stein Eriksen Management Corp. already oversees Stein Eriksen Lodge, The Chateaux at Silver Lake and soon the new Stein Eriksen Residences, a 14-home and 40-condominium project. The 18-hole golf course includes a driving range and swimming complex. Members of the country club will be able to take advantage of certain Stein Eriksen operated facilities and guests staying at Stein Eriksen will have opportunities to utilize the country club also. Contact Park City Real Estate Specialist Steve Blankenship for Deer Valley or Park Meadows Real Estate. 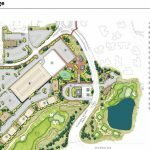 Posted in Park City Real Estate, Park City News, Deer Valley | 0 Responses to "Stein Eriksen to manage Park Meadows Golf & Country Club"
Deer Valley president reveales ideas for Expansion! 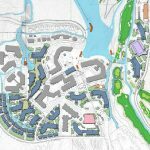 Following the release of Vail Resorts' future plans, Bob Wheaton, the president and general manager of Deer Valley® Resort, informed the Park City Council that extensive internal planning is underway involving expansions stretching from the Jordanelle Reservoir to Old Town. 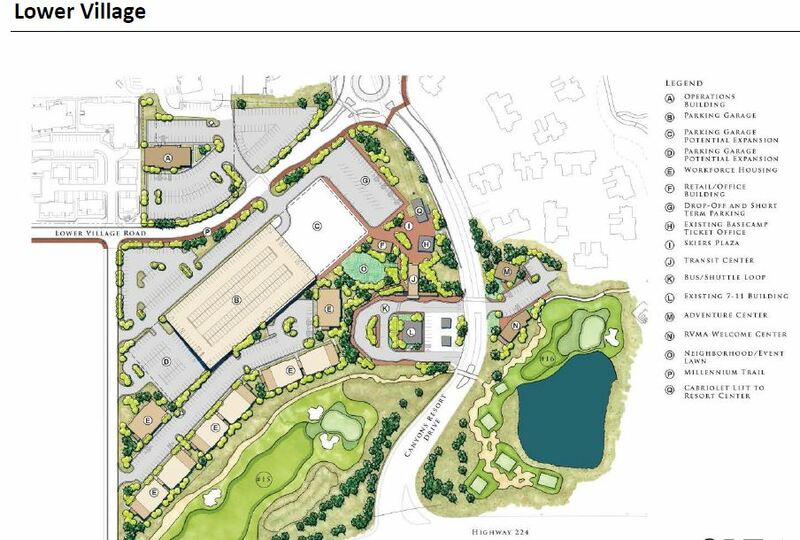 Ideas include a gondola linking Deer Valley with Old Town, an expansion on the Jordanelle Reservoir side and the intention of a possible development of the parking lots outside Snow Park Lodge. 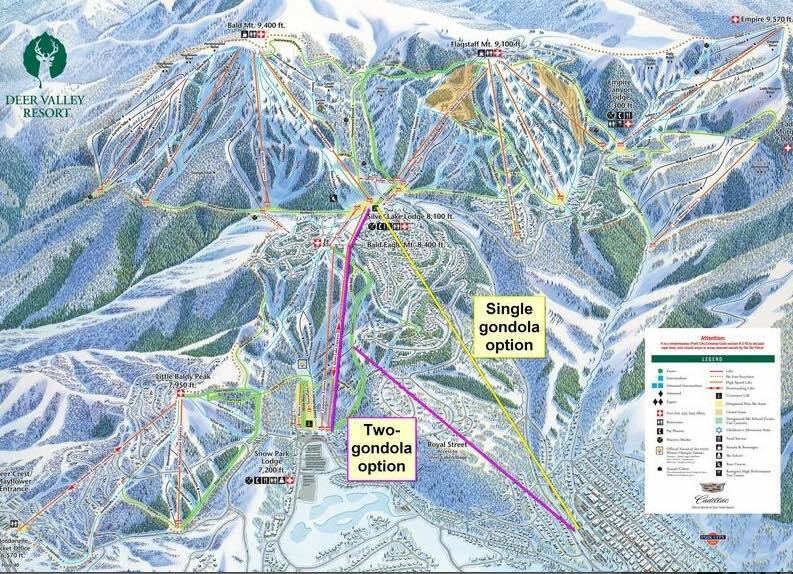 According to Wheaton, Deer Valley® Resorts is looking at two alternatives for a gondola. 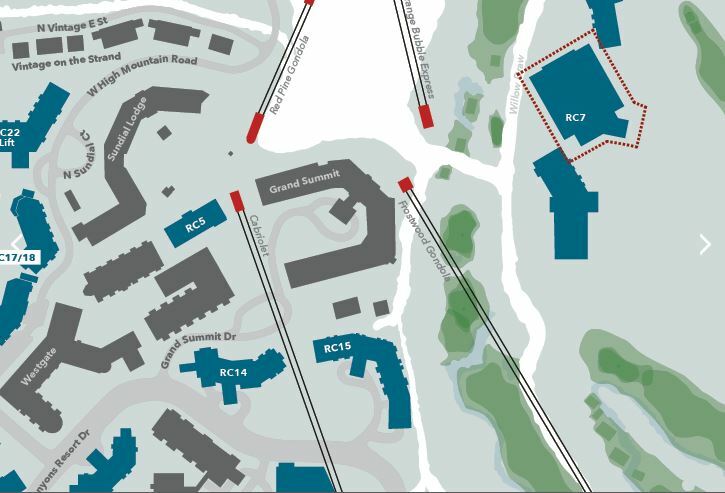 Option 1) Two gondolas: one of the gondolas would run from the Old Town transit center to a spot at the top of the Lucky Bill ski run - uphill from Snow Park Lodge. 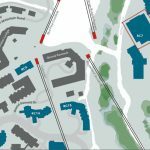 The second gondola would replace the Silver Lake Express lift. 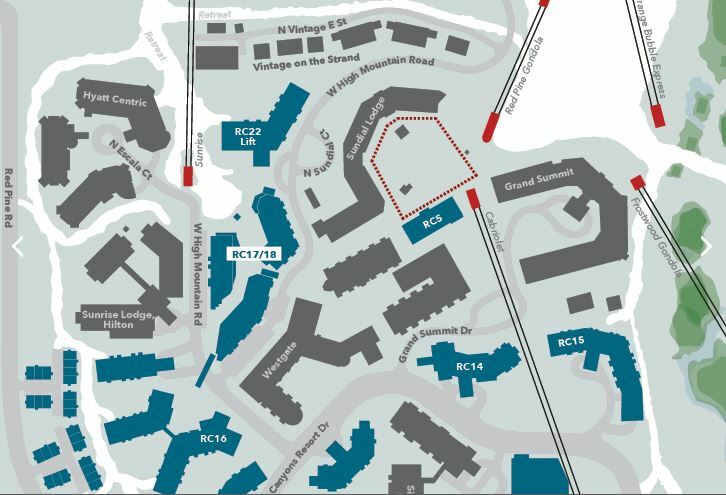 Such a gondola connection could perhaps connect people between Silver Lake and Old Town between 7 a.m. and 11 p.m..
Option 2) Only one gondola running a route between the Old Town transit center and an undecided point somewhere in Silver Lake Village. No further details were discussed about this option. 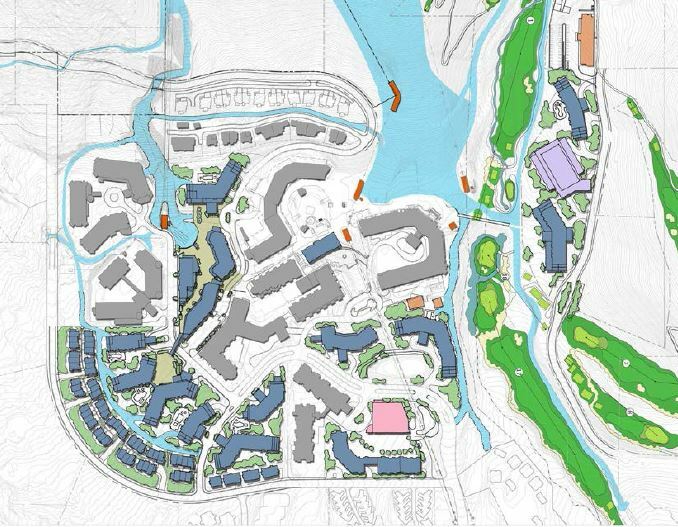 Wheaton also spoke about ideas for a major development on the Jordanelle Reservoir side of Deer Valley® Resort. The project could involve an expansion of Deer Valley's skiing terrain totaling between 800 and 1,000 acres with at least seven and, perhaps, eight new lifts. Wheaton told the elected officials work could start as early as next summer. Posted in Park City Real Estate, Park City News, Deer Valley, Home Seller Tips, Home Buyer Tips | 0 Responses to "Deer Valley president reveales ideas for Expansion!" 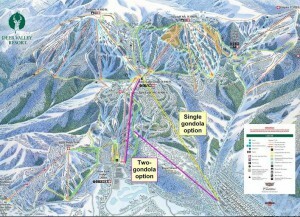 Vail Resorts releases plans for gondola linking PCMR & Canyons Resort! Since Vail Resorts acquired Park City Mountain Resort and took over the lease at Canyons Resort we have seen a significant increase in real estate investments in the area. Next summer Vail Resorts is going to link both resorts which will make Park City home to the largest ski resort in the US. This means skiers and snowboarders will have access to over 7,000 acres of terrain. If approved Vail Resorts will first build an Interconnect Gondola, an eight-passenger ride that would start at the base of Park City at Silverlode Lift, going to the Flatiron Lift at Canyons. In addition to that, existing lifts would be upgraded to increase passenger capacity and reduce crowding. Further plans include expanding and upgrading resort restaurants as well as improving maintenance and upgrading snowmaking equipment. 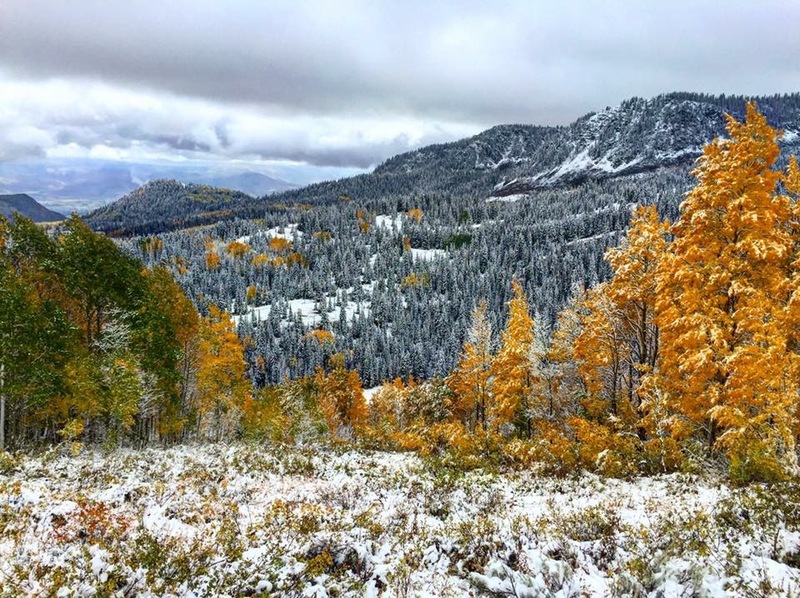 With a new unloading point at the top of Pine Cone Ridge skiers and snowboarders will be able to access ski terrain at Thaynes Canyon and Iron Mountain. Under the new scheme, the unified resort would be named Park City Mountain Resort and the Canyons base area renamed "Canyons at Park City". 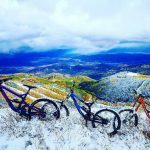 Posted in Park City Real Estate, Park City News, Canyons Village, Home Buyer Tips | 0 Responses to "Vail Resorts releases plans for gondola linking PCMR & Canyons Resort!" Ski season has begun, and Liftopia, a digital marketplace for advance purchase lift tickets, just launched its annual Black Friday Preview. The promotion allows skiers and boarders to save on lift tickets all season  up to 87 percent when you stack them up against walk-up prices. Posted in Park City News, Canyons Village, Deer Valley | 0 Responses to "Discount Lift Tickets!"